Join the UCSF Center for Excellence in Primary Care as they celebrate Dr. Tom Bodenheimer and his contributions as a scholar and visionary leader in primary care! 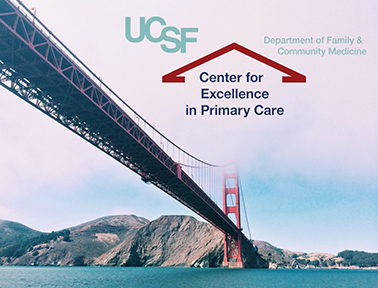 The Bodenheimer Symposium on Excellence in Primary Care on Saturday, September 26, 2015 will feature presentations of cutting-edge work in the field and engage participants in charting the next phase of primary care transformation. The Symposium will be followed by an evening gala honoring Dr. Bodenheimer. A cocktail reception kicking off Saturday¹s events will be held on Friday, September 25. The events are planned in the spirit of Dr. Bodenheimer—think creatively, embrace innovation, learn with humility, advocate for what is just, don’t take yourself too seriously, and enjoy the journey. Please register for the Symposium and Gala here.